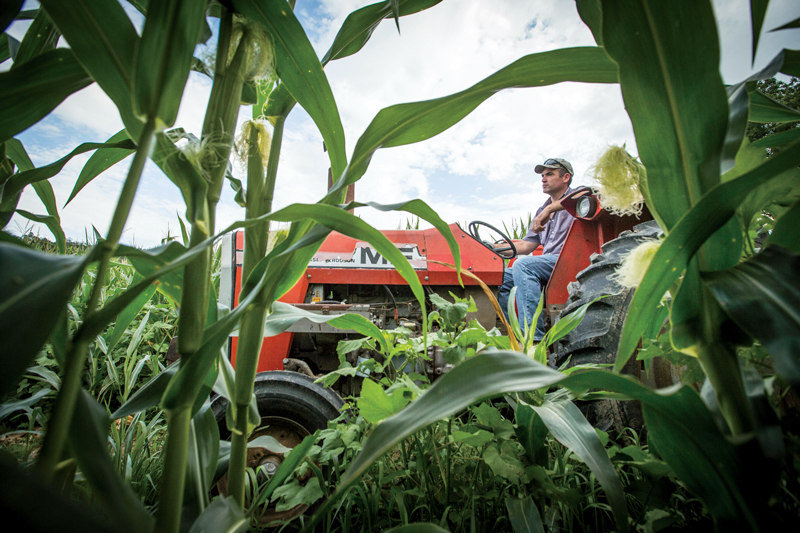 Two tours overseas, a full-time job, college, family, continued service to his country: Nothing has gotten in the way of Cody Waters’ dream to be a farmer. On Cody Waters’ first day of basic training, sirens sounded the lockdown of Fort Benning, Ga. “We’re going to war, boys,” a fellow soldier solemnly said. It was Sept. 11, 2001. Waters, then an 18-year-old farm kid from Illinois, had followed family tradition by enlisting. Both of his parents served in the Vietnam War, while generations before them had enlisted as well. A sense of farming and protecting the homeland were ingrained long before he was issued his dog tags. What was not known at the time was that Waters would become part of a generation of soldiers who has never known peacetime service. He’s now also part of an armed force that has served more tours of duty than soldiers of any other era. Nationally, 2.4 million veterans returned to civilian life in the United States in the past 13 years. Another 1 million post-9/11 veterans are expected to return in the next five years, and more than 40,000 to Canada. Only 17% of the U.S. population lives in rural America, but 44% of the military comes from the countryside, according to U.S. Census data. In rural Missouri alone, where Waters now lives and farms, some 300,000 vets are expected to come home in the next decade. Many expect to return to their rural roots where a rooster’s crow—not mortars exploding—wakens them. Cole and Tommy with their dad. 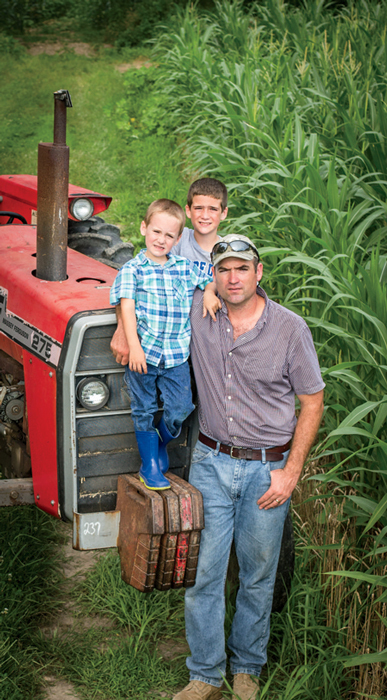 “The boys deserve me to be here,” says Cody Waters, who makes time for them between working a full-time job and maintaining two farms 250 miles apart. 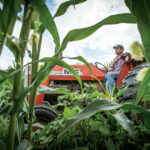 Waters, who has spent 15 years as a combat engineer in the Army National Guard, with one tour each in Iraq and Afghanistan, represents those returning to deeply ingrained roots in farming. He grew up on Taylor Hill, named for his family, across from his grandparents in Vienna, Ill. While in high school, Waters rented more than 100 acres of cropland and had 20 sows. Now, at 33, he works full time as construction manager for the state of Missouri, helping build the new state hospital in Fulton. 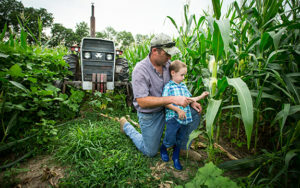 The full-time job allows him to farm part time, growing corn, beans and wheat in Missouri and some 250 miles away on family property in Illinois. He recently added 23 head of cows and another 35 acres to his Missouri operation. Friends and family help, including his young sons who do some of the daily feeding and watering. He balances all that with weekend training as the company commander of the Forward Support Company of the 1140th Engineer Battalion of Missouri Army National Guard. Upon returning from his first deployment in May 2004, Waters, with the help of the G.I. Bill, received a degree in civil engineering from the University of Missouri. After college, marriage and children, he was deployed March 2011 to April 2012. He had to rent out the farm that year, while serving on the Missouri National Guard’s Agribusiness Development team. “It was the most interesting kind of deployment you could get,” he says. During most trips into the Afghan countryside, a four-truck convoy protected Waters’ engineering group as they traveled from camp to the worksite. Soldiers swept for land mines on the way. The team, assisted by interpreters, renovated infrastructure such as canals and trained 22 “Extension” agents, who then trained Afghan farmers in Nangarhar Province. Waters helped teach Afghans to improve farming methods, including use of more modern machinery. Previously, many used water buffalo or older tractors, often borrowed and in scarce supply, to pull plows. Money and arable land as well as water are in short supply, too, in Afghanistan. Most land must be irrigated and is usually planted by hand. Farmers there raise corn, wheat, watermelons, cucumbers and olives. Reliable power, what little there is, typically comes from generators, so meat and milk must be consumed immediately. 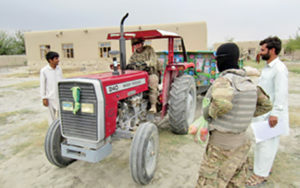 Resources aside, Waters, who says many Afghans mingled easily with U.S. and other NATO soldiers, found the local farmers to be much like American farmers. Their strong work ethic and a desire for a better way to do things transcend cultures. “Farmers are the same all over the world,” he says. In 2009, Waters and his wife, Nicole, bought 60 acres of farmland through USDA and Veterans Administration loans. The cost and availability of acquiring land has been his biggest obstacle to his dream of going into farming full time. Between his land near his home in Missouri and back in Illinois, Waters rents about 200 acres. The only thing constant in Waters’ life is change. At a moment’s notice, he can be deployed. Just as he is ready to serve, family and friends are on standby to help with the children and farm as needed. Duty calls for all. Today, Waters spends one weekend a month on Guard duty and two weeks in summer training camp. His wife, also an MU graduate, holds a doctorate degree and hopes to be a small-town osteopath. She began medical school in Indiana last fall. While she is attending school, Waters keeps the home fires burning, just as she did when he served overseas. Being available to his sons is a privilege he takes seriously. Tommy is in fifth grade and Cole is in pre-kindergarten. There are basketball games, 4-H meetings, school events, homework and chores. “The boys deserve me to be here,” he says. As sun sets, he and his two sons walk from the grain bin to the house, nestled between a creek and rolling hills. The boys poke and prod each other as they saunter up a well-worn footpath, carrying buckets of pellets and corn to the cows. After school, they fill the water tank. Chore time is when their dad can ask how school went that day and they can plan the evening ahead. Homework, dinner and baths await when work around the house and farm is finished. The peace and quiet of the farm, broken only by the sounds of a newborn calf bawling or a whippoorwill’s lonesome call, are far from a war-torn land where fathers fear for their children’s safety as guns rat-a-tat-tat. The walk with the boys back to the house is one of the best times of the day for Waters. It reminds him of his own childhood on the farm. He has fought to preserve the freedom to enjoy a rural lifestyle, and it is never far from his mind or heart. 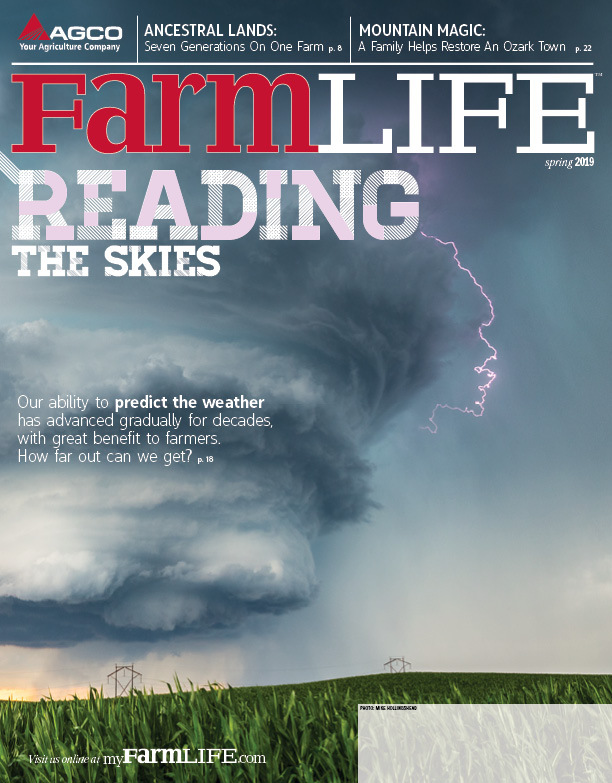 “Farming is who I am,” he says. Numerous organizations cooperate to help returning veterans and other underserved populations transition to farming or ranching. 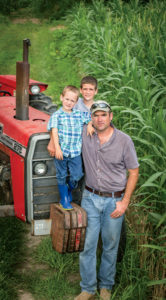 Cody Waters has worked with AGCO machinery in two countries, two states and for nearly two decades.